Dubai: Come out of your comfort zone and visit the exhibition of rare photographs highlighting the health challenges faced by the people living in tribal areas of Pakistan and the biggest slum of Karachi. ‘Pakistan Behind the Headlines’—the exhibition organised by the Médecins Sans Frontières (Doctors Without Borders) commonly known as MSF bring showcases the lifestyle of the forgotten people living in the refugee camps and those internally displaced due to conflicts in various regions. It also brings to life the living conditions of people in the ‘Machar (mosquito) Colony’ – known as the largest slum in Karachi. For the first time, the MSF is organising the exhibition in Dubai at the Pakistan Association in Dubai, the exhibition is open to public on February 8 and 9. The 34-photos exhibition was previously held in Peshawar, Islamabad, Lahore and Karachi. The images were captured by British Pakistani photographer Sa’adia Khan between 2014 and 2017, as she travelled to MSF projects in FATA, Balochistan, Sindh and Khyber Pakhtunkhwa, meeting the patients being treated by MSF. “I feel these people deserve better life and the MSF needs more help to provide necessary healthcare to these forgotten people,” Khan told Gulf News at the media preview on Thursday. Visitors to the exhibition can also interact with Khan and Thomas Balivet, the Country Representative at MSF Pakistan. 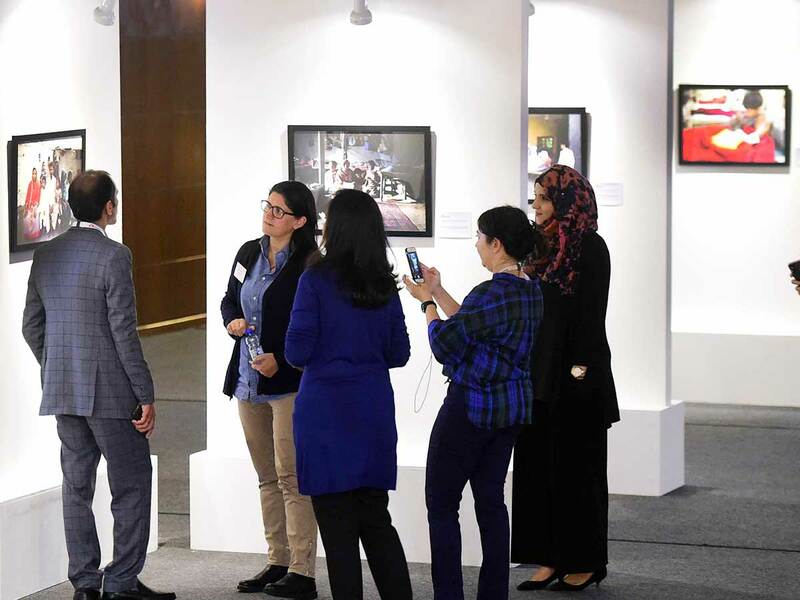 “The purpose of the exhibition is to show that beyond the headlines of insecurity and violence in Pakistan, are real people trying to carry on ordinary daily life,” Balivet said. “The exhibition celebrates their resilience and courage, while highlighting the difficulties they face in accessing basic needs such as healthcare,” he added. 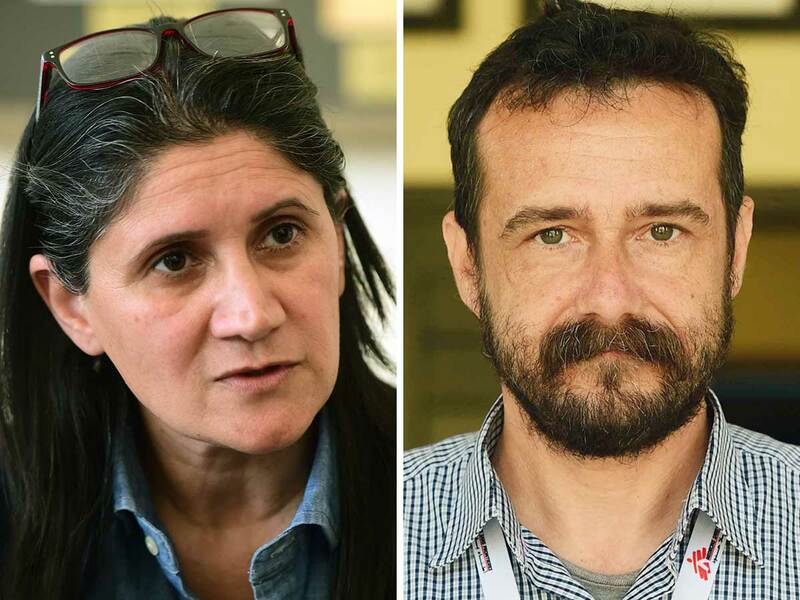 “MSF has been doing amazing work in the field of healthcare throughout the world. They have reached out to the FATA, which is not an easy path to access. We are extremely delighted to be a part of the photographic exhibition, which speaks volumes of their commitment towards community service,” Dr. Ikram said. MSF is an independent medical humanitarian movement that works in 72 countries around the world, delivering emergency care to people affected by conflict, epidemics and disease, healthcare exclusion and natural disasters. We are independent, neutral and impartial. Guided by medical ethics, we are driven by the belief that every human deserves access to medical care, regardless of race, religion or political affiliation.